Note: This work is also available for download as a MS Word file and a PDF file. Pls. click the appropriate icon to download. Copyright © 2014 by Thomas W. Finley. Revised edition, 2018. Permission is granted to copy, translate, reprint or distribute this book. Free distribution is encouraged. Copies may not be sold for profit without the express permission of the author. Quotation privileges are also hereby granted. All Scripture is quoted from the English Standard Version, unless otherwise noted. Scripture quotations are from the ESV® Bible (The Holy Bible, English Standard Version®). Copyright 2001 by Crossway, a publishing ministry of Good News Publishers. Used by permission. All rights reserved. Used by permission of the copyright holder. Unless otherwise noted, Scripture quotations marked HCSB have been taken from the Holman Christian Standard Bible © copyright 2000 by Holman Bible Publishers. Used by permission. I wish to thank several people for their help in reviewing the manuscript for this book and making suggestions for improvement. Cory Marsh, Donnie Preslar and Norman Young were most helpful in reviewing the manuscript for soundness in matters of interpretation, theology and practical application. Both Cory Marsh and Norman Young made insightful suggestions regarding the Greek text. These brothers are academically trained in New Testament Greek whereas I am not. I rely upon commentaries, lexicons and other reference books for some understanding of the Greek text. Several other believers dedicated valuable time to review the manuscript and they brought forth good ideas for revision. These reviewers were Bobby John, Angelica Fazio and John Reid. The final version of the book could not be what it is without their generous help. 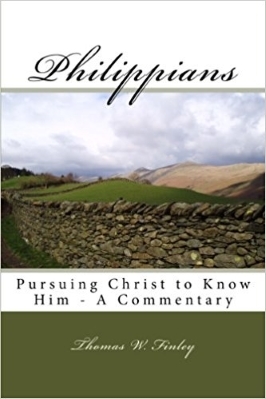 It was certainly rewarding to work together with other members of the body of Christ in preparing this commentary. It is beautiful to see members of Christ’s body freely serve in this way for the purpose of helping others within His body who will read this book.